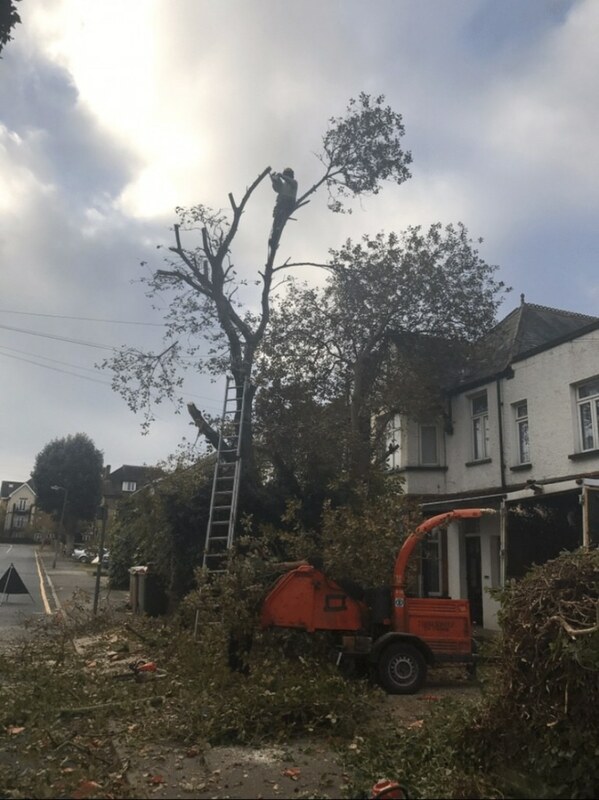 Our tree surgeons in Esher are available for a wide range of tree maintenance and other services! 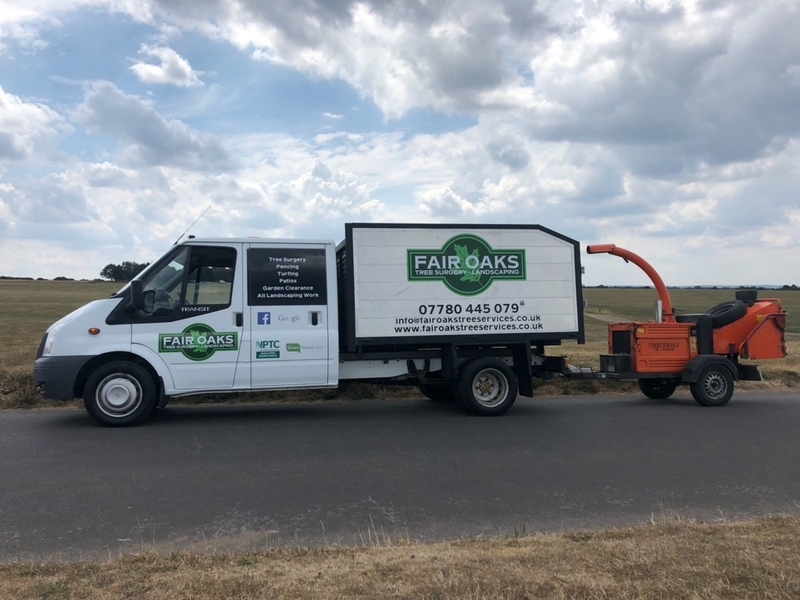 Here at Fair Oaks Tree Services, we have many years of experience caring for trees and gardens in Esher and Hinchley Wood and throughout the nearby areas. 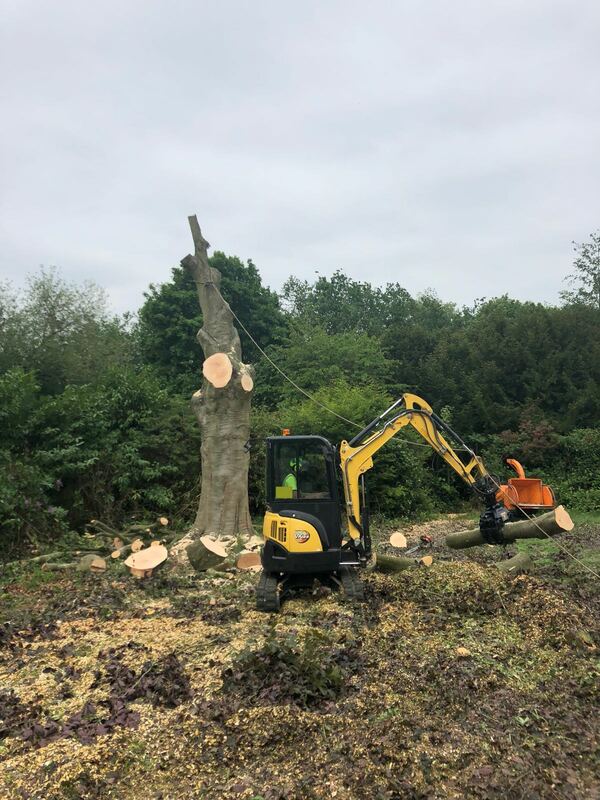 We have a fully NPTC (National Proficiency Test Council)-trained and qualified team, who have a vast amount of expertise working with all aspects of tree surgery, achieving the highest possible standard for our customers in your local area. We understand that people care a lot about their trees and so do we; we are passionate about the environment. We work with many local homeowners and businesses to help them with their tree management and landscaping needs. 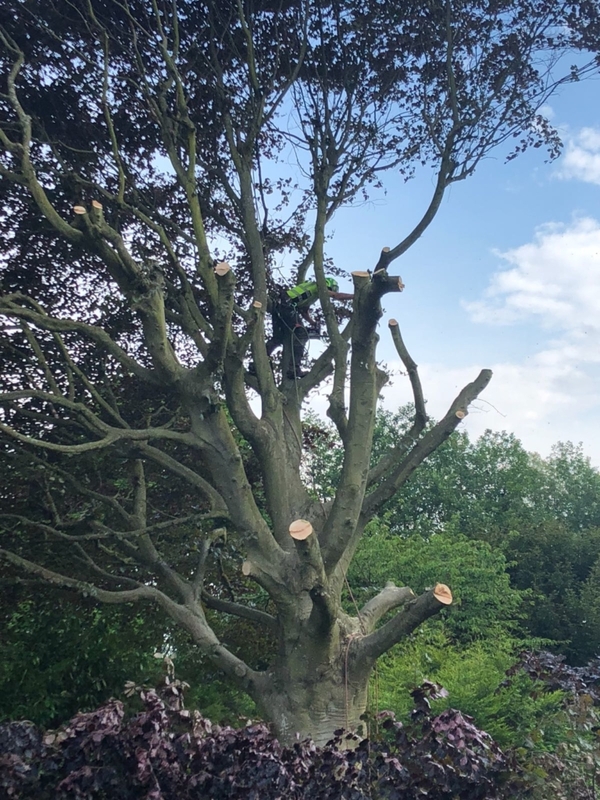 Our tree surgeons always complete the jobs in time and on budget, with minimal disruption to you, your family life, or your business operations. We also have public liability insurance to £5million. 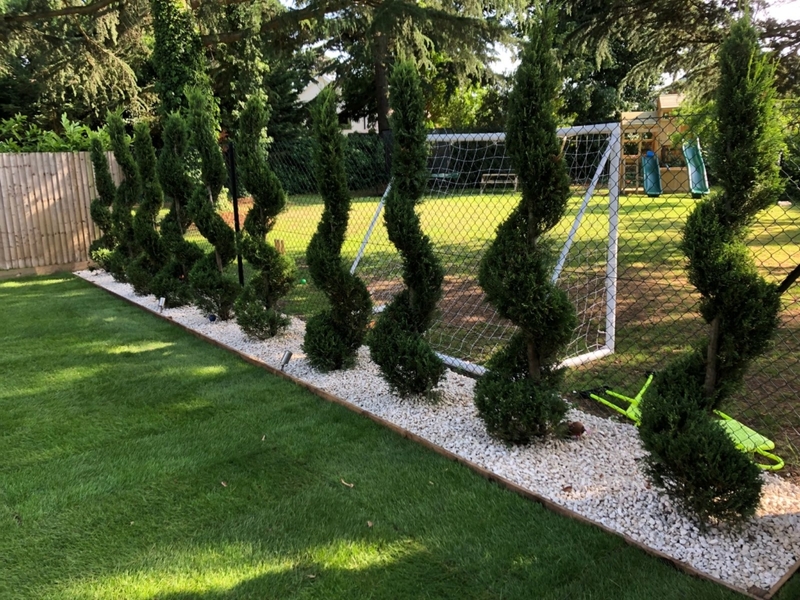 We can advise you about the care and attention that your trees, hedges or plants need to best suit your individual situation and circumstances. Many trees will need regular trimming and maintenance, so they can reach their full potential, and this will also maximise their health and increase their lifespan. If you are interested in any of our services, we are always happy to offer a free consultation, where we can survey the area that needs attention and will offer you our best impartial advice. 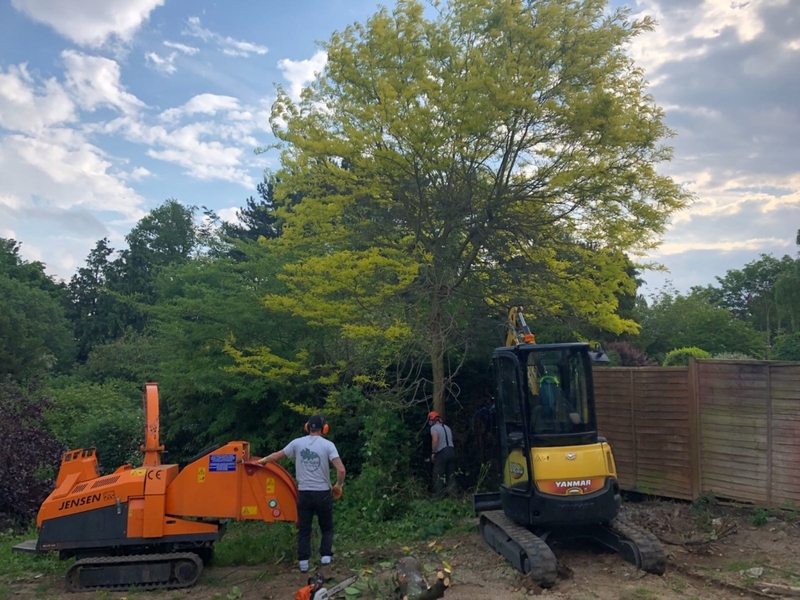 We will also check for any restrictions, such as TPOs (Tree Preservation Orders) and if there is one in place, we can communicate with the council before any work starts. If you would like to chat to one of our NPTC-qualified arborists about your garden and landscaping needs, please pick up the phone and dial 07780 445079. Tree felling: Felling trees must always be done by professionals because it can be a dangerous activity. We mainly fell trees in sections, using rigging techniques and state-of-the-art equipment to lower sections of the tree to the ground. 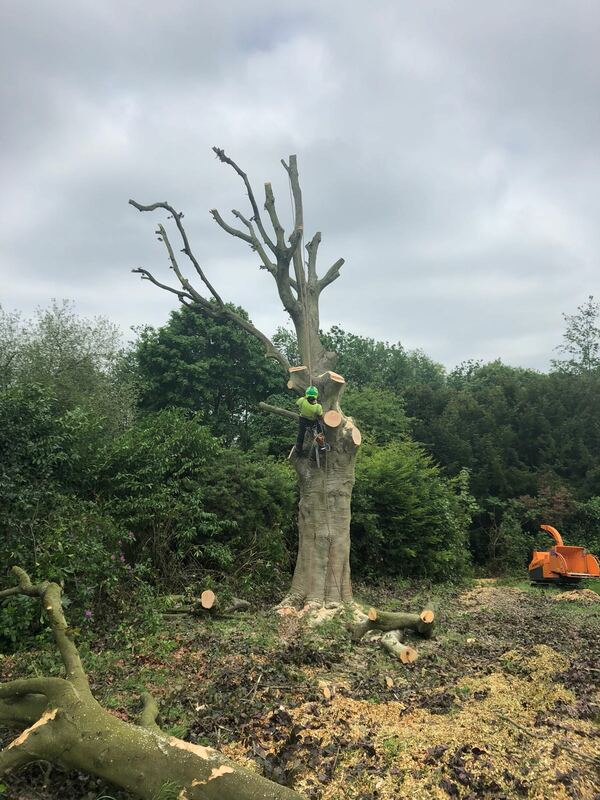 Tree reductions: This means reducing the overall size of the tree, by removing potentially dangerous branches and minimising the risk of disease. 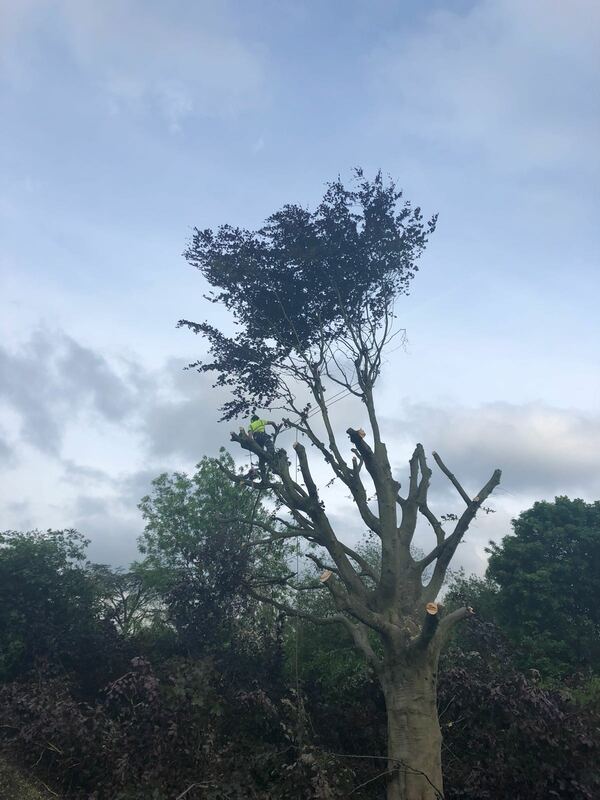 Crown reduction: This common process involves reducing the size of the crown and will improve the general appearance of the tree and allow more light through the canopy. Crown lifting: This is the process to make the space between the crown the ground bigger and is normally done when the crown is causing issues with buildings or pedestrians. The branches are pruned back from the main trunk of the tree. Hedge trimming: Regularly trimming hedges keeps then neat and tidy and will improve the appearance of a property. Stump grinding: When a tree is felled, the stump will be left, with the roots still intact. 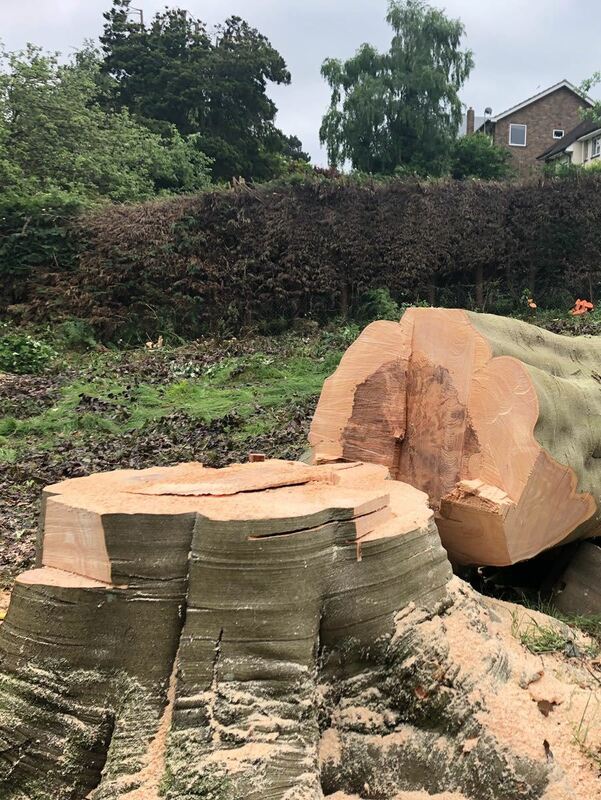 It is often necessary to remove this tree stump to avoid re-growth and to free up the space, so it can be made ready for planting new trees, or so that the ground can be used for turfing or building. 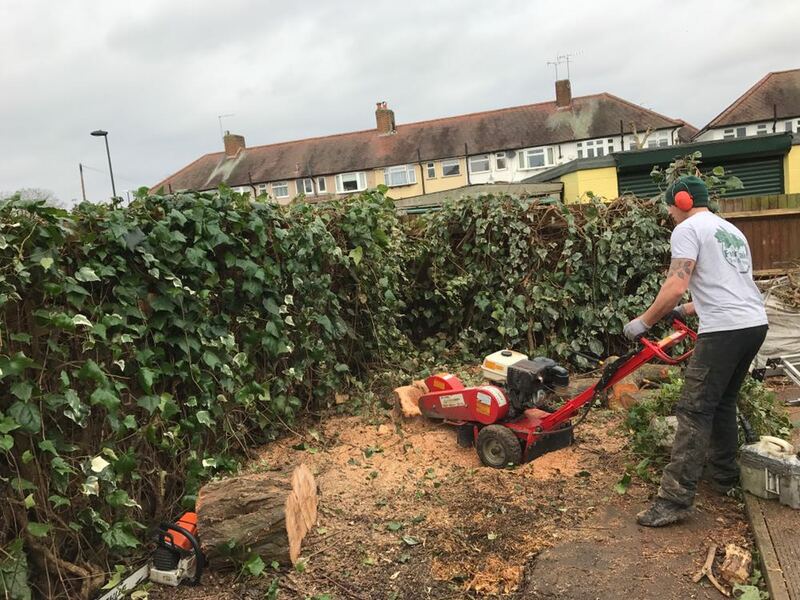 We offer a variety of tree services and one of these is tree felling or removal. If a tree is diseased, has become unsafe or has grown out of the area it is located, it may be necessary to remove it. First, we will survey the area to make the best course of action, which is always in a way that avoids or limits any damage to the surrounding areas. 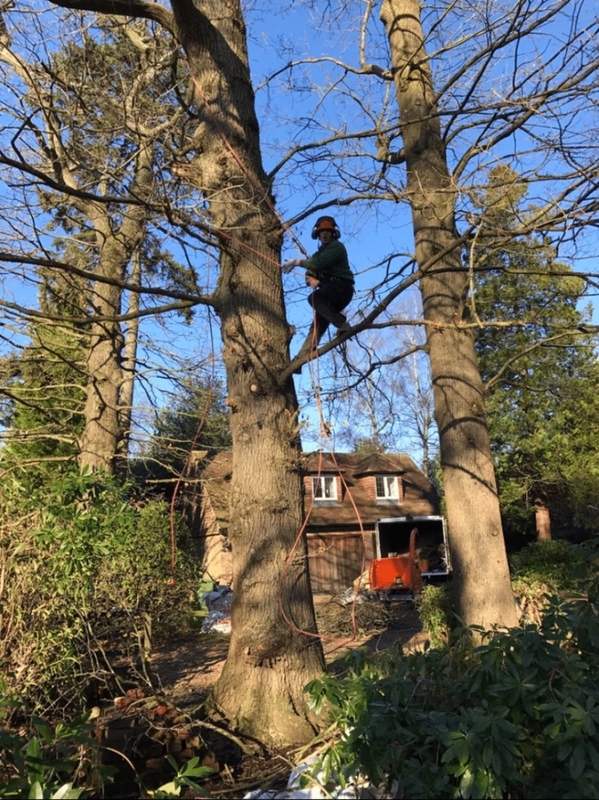 There are many different techniques involved and no two trees are the same, but we will always adapt our knowledge, skills and experience to suit the job in hand. 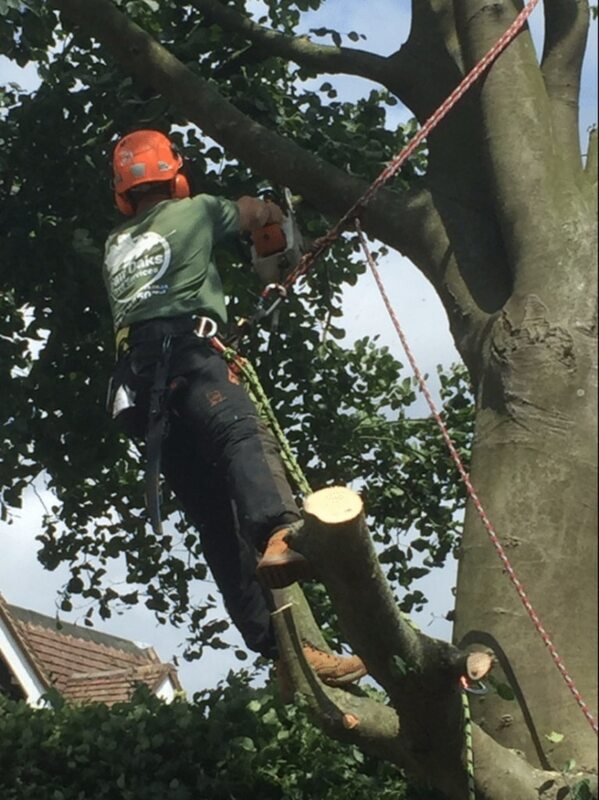 Contact our local arborists for a no-obligation quote for tree cutting and tree services in Esher or Hinchley Wood! Keen to hear more? Please contact us on 07780 445079. Alternatively we can be reached via email at info@fairoakservices.co.uk or fill in an online enquiry form and we will get back to you as quickly as possible.